Enough can’t be said about how important it is to not only find a solution to a problem, but to find the correct solution the first time. 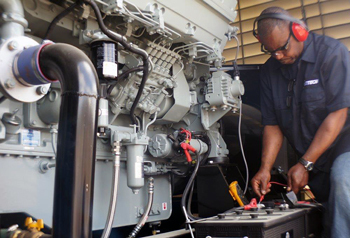 Kentech provides you with technicians trained to diagnosis and repair all makes and models of industrial power generation equipment. Kentech provides competitive rates by passing on our savings through our vendors over to our customers. Our technicians are trained to follow scheduling guidelines that Kentech has set up with our customers in order to provide you with the most prompt service available.